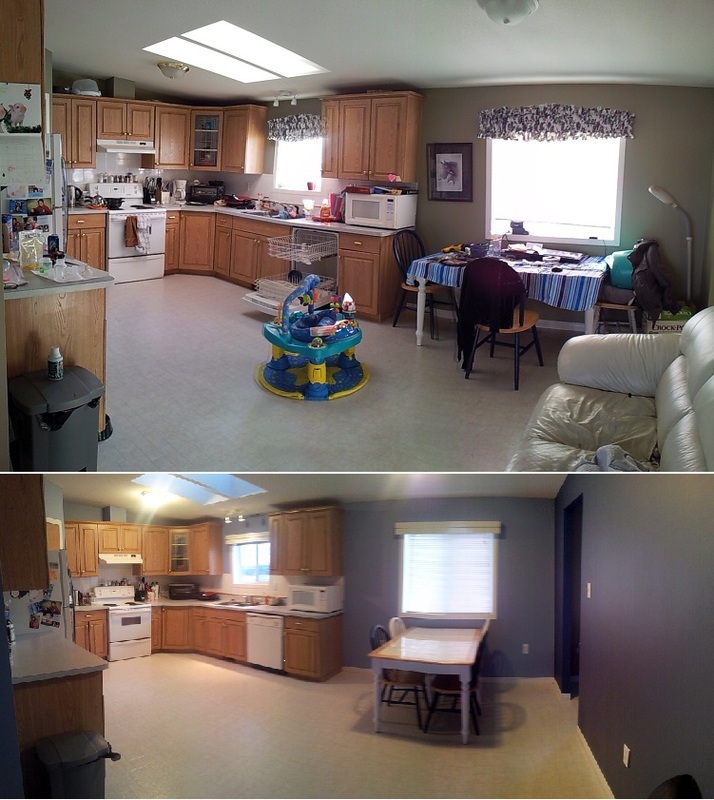 As part of my Kitchen Makeover I added a huge chalkboard wall. Here is what I have done so far. I thought it would be fun if I could transfer some coloring pages onto my new chalkboard wall. You can check out the rest of my kitchen makeover here. I had taken more photos on attaching the rails to the wall, but unfortunately the files were corrupted when I transferred them to my computer. 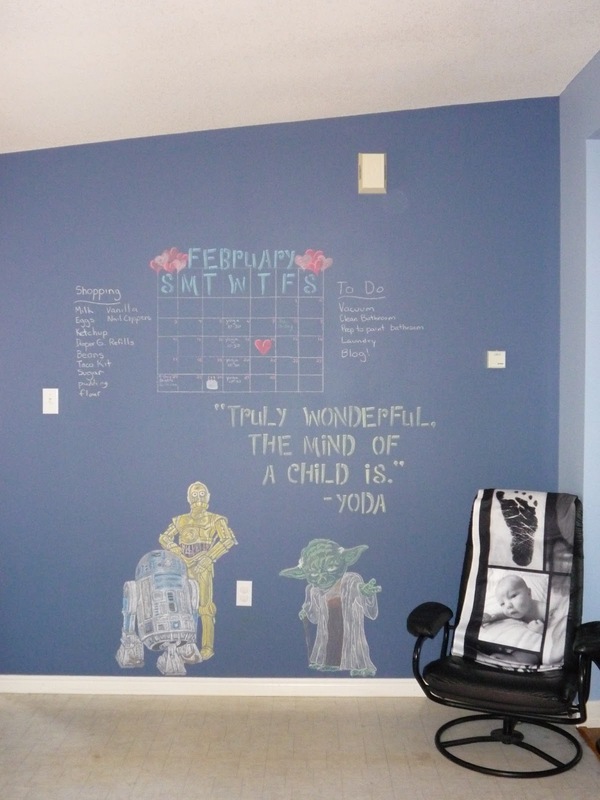 I started with the idea that I wanted to make a giant chalkboard wall in my kitchen for when my son gets older. 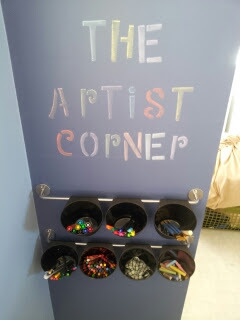 I have always enjoyed arts and crafts and I hope that I can share that with him. 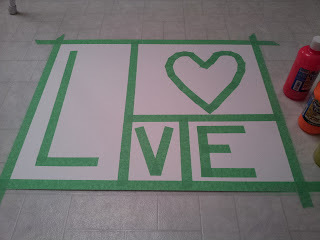 Toe Painting - Sensory Play "Head over heels in love"
I have followed a few links on pinterest about sensory play. Since my son is way too little to be finger painting yet, I came up with the idea to do a jolly jumper toe painting to combine with some sensory play for my son. I started out with a piece of poster board and taped out a L<3 ve using painters tape. I was hoping the tape wouldn't stick to the paper but it kinda did, especially when wet and was a bit hard to peel off. I think that using a glossy finger painting paper, or a canvas would work best for this, but I was just using what I had. I had some scraps lefotver from my Jungle Themed Wallpaper Mural project so I decided to give the dresser I had for the nursery a makeover. 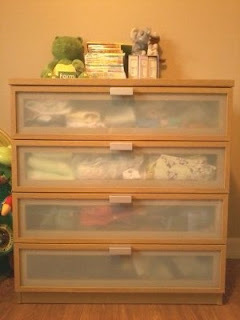 The dresser that I started with was an HOPEN 4 Drawer Chest the panels on the drawer are a frosted glass which you can see the clothes through which I thought looked a bit messy. 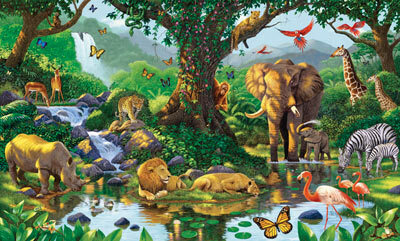 I found this walpaper called Nature's Harmony and I fell in love with it instantly. Sears carried it for a while, and then discontinued it so I had to source it from the USA. (I now see that sears has it back in circulation) I tried to order from a place called Poster Revolution through Amazon. WORST customer service ever. Shipped the wrong product, then I returned it and they told me they didn't actually have my item in stock and i would have to wait an inderterminate amount of time. Needless to say I left them nasty feedback. Well they made me remove it before they would process a refund. DIRTY POOL! Anyways, I found another store that had it in stock called Decor Place. Their service was phenominal. I ordered it and had it in less than 48 hours! Fantastic fantastic. 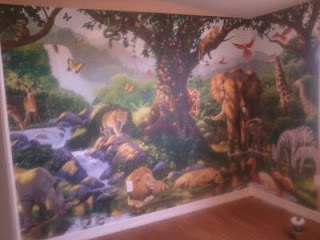 My mother and I were able to install the wall mural in about 6 hours.